1) Hunger Strike: Remember those passages in the haggadah about the bread of affliction? When workers stop eating to protest conditions, you know things are really bad. That’s what happened in Cambodia earlier this month, when workers who sew clothes sold at Walmart staged a hunger strike because they weren’t being paid the extremely meager wages they were owed. 2) Forced Labor: If this doesn’t hit close to home, you really need to brush up on your Passover narrative. Last summer Walmart suspended one of its seafood suppliers after an investigation discovered that workers were being forced to work up to 24 hours consecutively and had been locked in the plant. The same team found workplace violations at a dozen other Walmart food suppliers. Many of the aggrieved employees were foreign workers – strangers in a strange land indeed. 3) Fatal Factory Fire: Last November, in a tragedy eerily reminiscent of the Shirtwaist Triangle Factory Fire of 1911, 112 workers died in a blaze at an Indonesian factory that supplied clothes to Walmart. The New York Times discovered soon after that Walmart had played a leading role in blocking efforts to address safety concerns at Bangladeshi factories. 4) Quashing Freedom of Speech: As you prepare your Passover meditation on the meaning of freedom, keep in mind that among the most basic of liberties is the right to speak freely. This is not a right enjoyed by Walmart employees, which is why last December Walmart workers in 10 countries participated in a global protest against the company’s use of intimidation and firings to silence disgruntled workers. 5) Bribery Scandal: Last April, the New York Times broke the story that Walmart had allegedly covered up a bribery scandal in Mexico. The corporation’s Mexican subsidiary reportedly gave tens of millions of dollars to government officials to grease the wheels for store development there, and Walmart’s head honchos back home in Bentonville turned a blind eye. 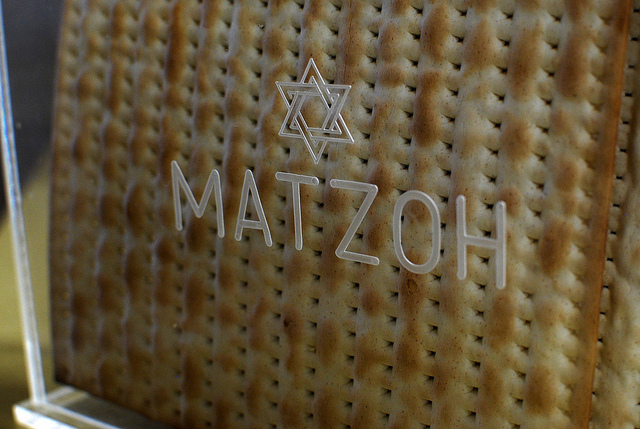 What’s the connection to Passover? We’re not sure, but we know your bubbi would not approve. Danny Feingold is communications director at LAANE and the editor-at-large of Frying Pan News. Republished with permission from Frying Pan News; image from here.